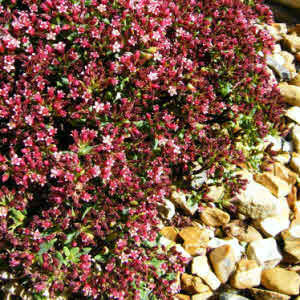 Pink flowers in the summer great plant for alpine/gravel garden. Looks like a bonsai when not in flower. Tough plant for sunny position in free draining soil. Height and spread 12ins.